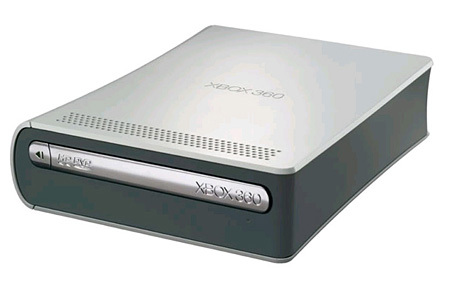 Rumors are circulating that Bill Gates will announce in what may be his final CES keynote that Microsoft will add HD-DVD to the Xbox 360. Microsoft has presented arguments against doing so in the past, offering that game players should not have to pay for a technology that they don’t need. At the same time, though, Microsoft has gone upmarket with the the 360 Premium configuration, and the addition of a larger hard drive contributes no more to the Xbox gaming experience as an HD-DVD drive would. Microsoft has already reduced the price of the external drive; an integrated one would be a logical next step as the component costs have come down. There’s also the factor of how many external Xbox HD-DVD drive buyers would have preferred to have the internal drive rather than add another box to a crowded home theater, or how many are resisting purchasing an external drive for that reason. Furthermore, while the tie ratios of Blu-ray movie titles to the PlayStation 3 can be debated, there is ample evidence that many PS3 buyers are purchasing at least a few movies, and the HD-DVD camp simply can’t ignore the high volumes of the PS3 Trojan horse. Integrating an HD-DVD drive into at least one 360 Premium configuration is an opportunity for Microsoft to put its machines where its mouth is. Speaking as someone with the external drive, I’m pretty OK with it. It’d be a little bit more sleek if the whole deal was internal, and you might sell a few more 360s as “an HD DVD player,” but I don’t think that at the time I got the 360 I would have justified spending the extra cash for the version with HD DVD support just because it did. I liked spacing the purchases out. Also, Ross, are you headed for CES this year? We’re throwing our second annual CES Blogger party, and I’d love to see you show up. If you want more info or an invite, shoot me an e-mail: jason AT blogbusinesssummit DOT com. Microsoft SKUs have matured since the early days. Putting the HD-DVD only in a Premium box would reduce the Trojan horse impact, but it would still be higher than the external drive. Yep, I’ll be at CES and will write you about the party. Thanks.